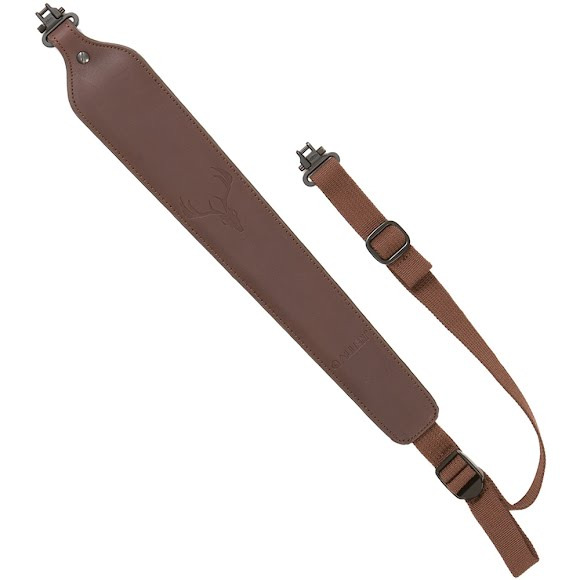 Allen's Cobra Tanned Leather Rifle Sling is a great sling for the everyday hunter. With the full grain leather face and the suede lining gives your leather rifle sling that rugged look as well as being comfortable. The heavy-duty web strap will withstand the tests that you will have in the field. The heavy-duty swivel has been tested at 300 lbs. Allen&apos;s Cobra Tanned Leather Rifle Sling is a great sling for the everyday hunter. With the full grain leather face and the suede lining gives your leather rifle sling that rugged look as well as being comfortable. The heavy-duty web strap will withstand the tests that you will have in the field. The heavy-duty swivel has been tested at 300 lbs. so can be a versatile leather rifle sling for small to larger firearms. Measurements 20.3" x 3" x 1.6"